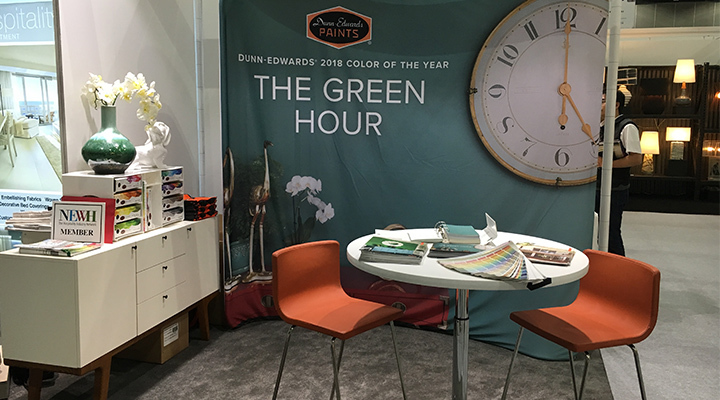 Dunn-Edwards Paints was proud to be among the approximately 300 hospitality design experts showcasing at the 2018 Boutique Design West (BD West) at the Los Angeles Convention center. 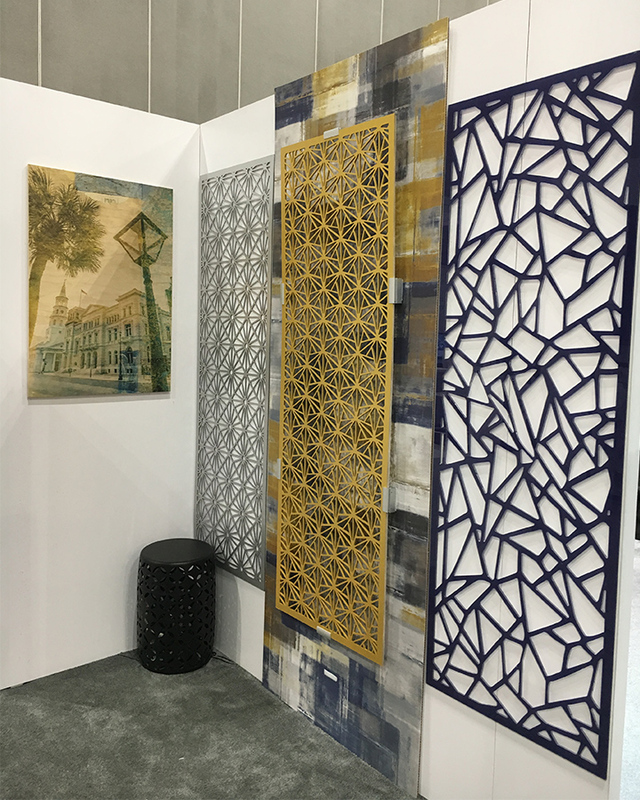 BD West is an annual trade show for hospitality design professionals based in the Western U.S., Hawaii, Canada and Mexico, a place to share ideas and explore new industry trends. 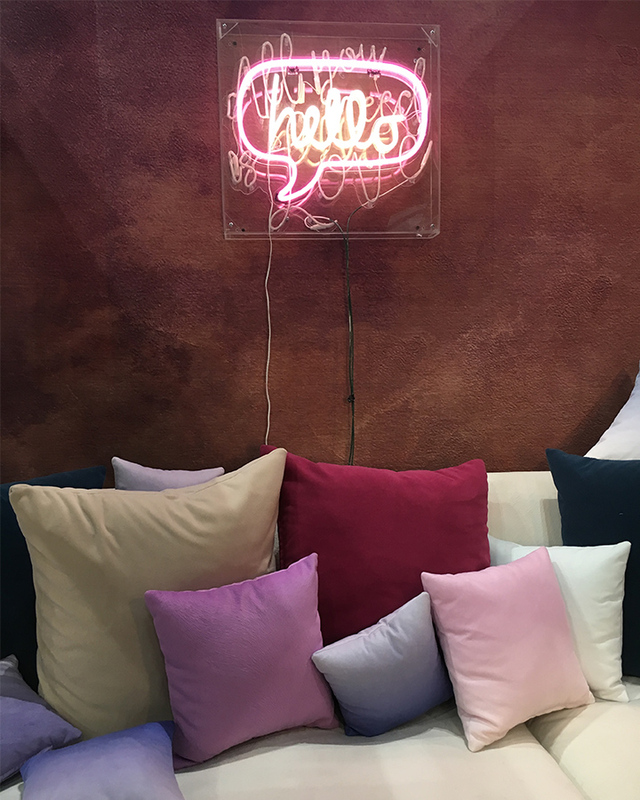 One of the major themes of hospitality design for 2018 is making people feel more at home. 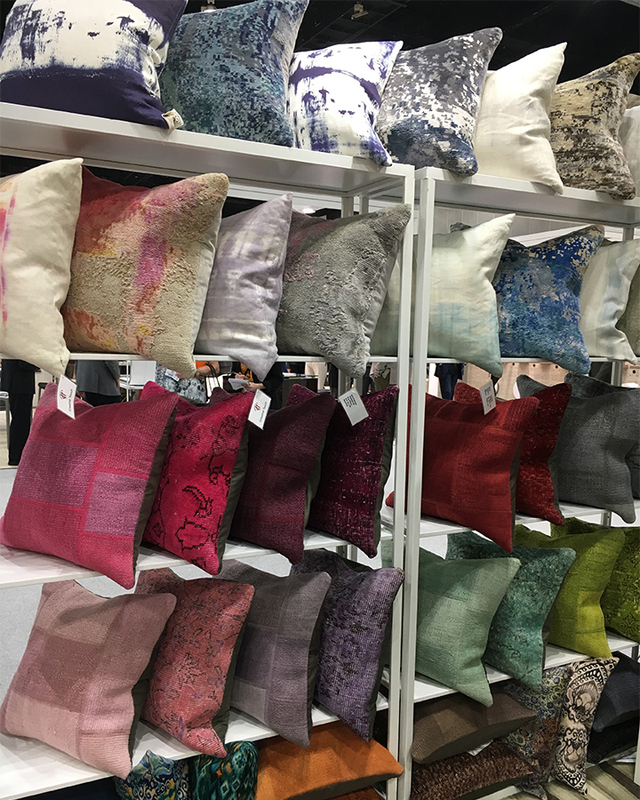 This year’s show, which took place April 4-5, was full of rich colors, textures and natural materials to make a space more inviting. 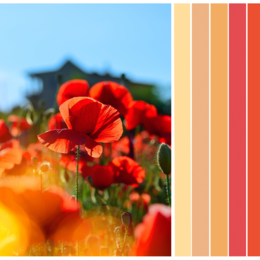 What Are The Hottest Color Trends in Hospitality Design? 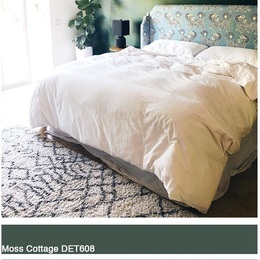 Neutrals and Scandinavian-inspired design may have once reigned supreme, but it seems gone are the days of achromatic spaces. 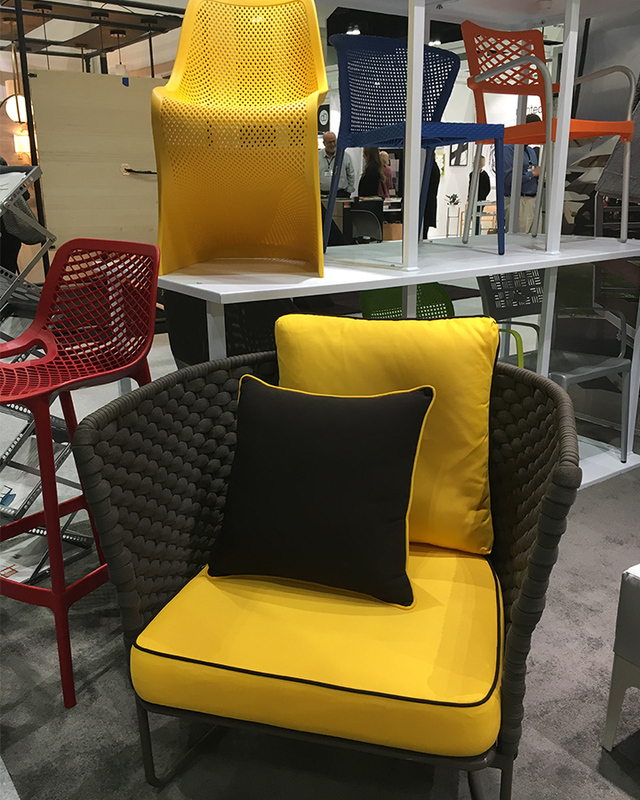 Just about every booth on the show floor had a can’t-miss pop of bold color. The most popular hues were jewel tones: emerald greens, amethyst purples, sapphire blues, ruby reds, and golds. There was also a healthy showing of Gen Z Yellow. 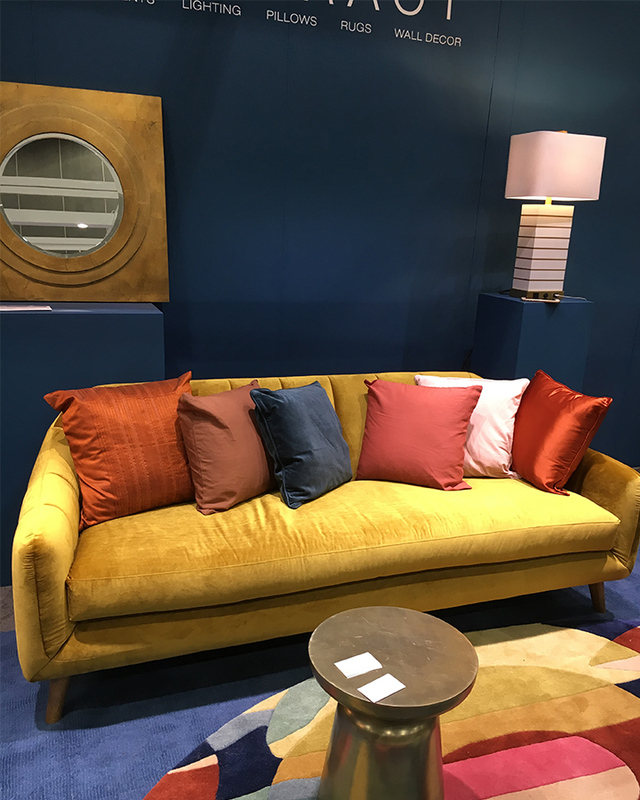 Jewel tones pull double duty giving spaces that cozy feeling of home while also adding a dose drama to keep the space intriguing. A large part of crafting that at-home feeling lies in greenery. 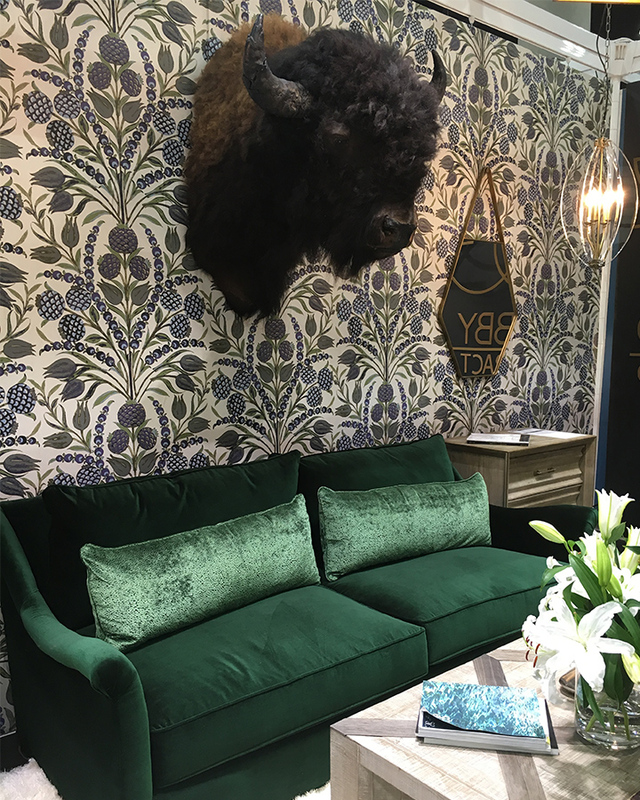 Plants and greenery were everywhere at BD West this year, displaying hospitality guests’ desire to connect with nature, particularly in man-made spaces. 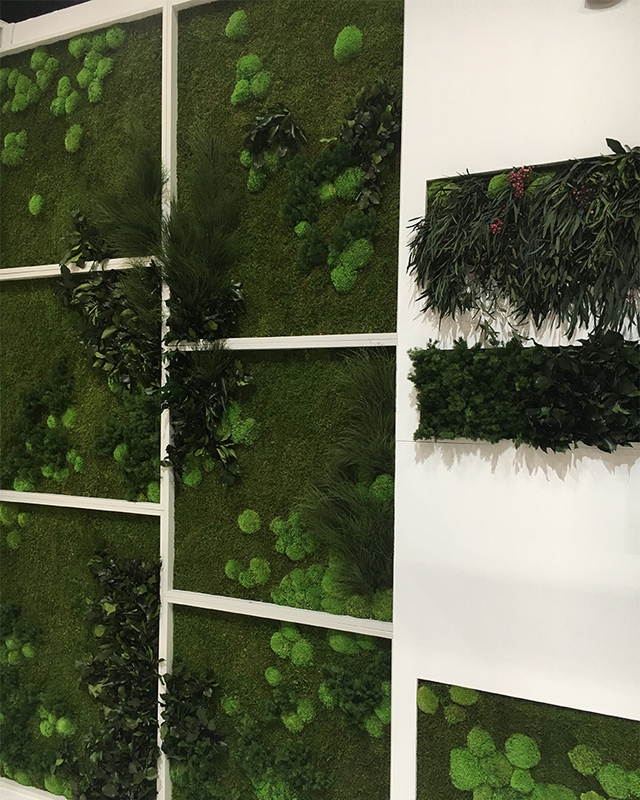 Living walls have been a popular trend in home design over the last few years, which we’ve seen at expos like Dwell on Design, and now we’re seeing that same trend throughout hospitality. Below, Garden on the Wall showcases their version of the trend. 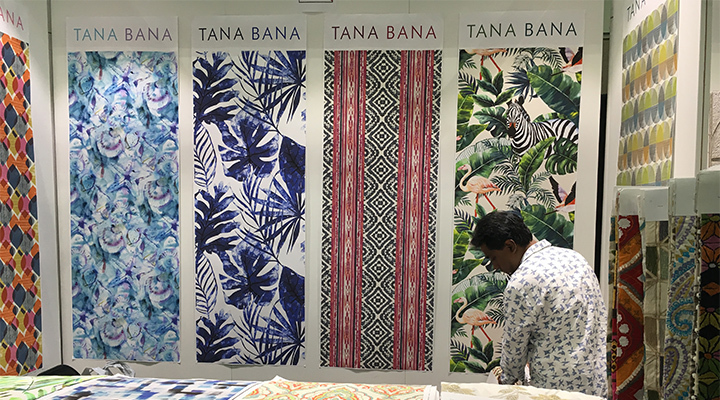 With tropical and jungle design trending recently, plants — especially palms, banana leafs, and monsteras — are patterns inspiring hospitality design for everything from wallpapers, to pillows and lampshades. 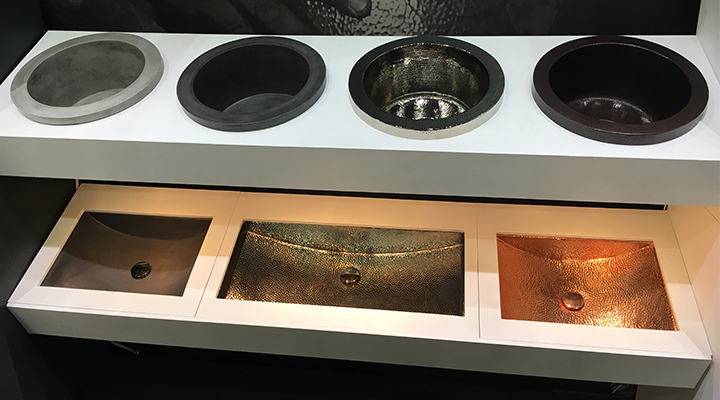 Other natural materials on display at this year’s BD West included leather, copper, granite, marble, slate, and wood. 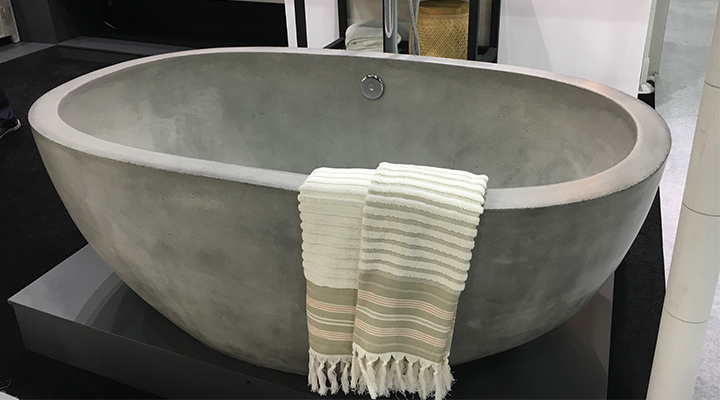 These natural materials all serve to make any feel more organic and inviting. 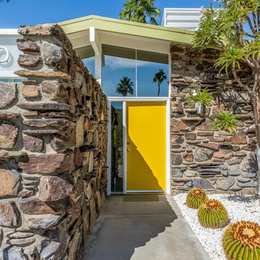 In the Instagram era, people are searching for snap-worthy spaces everywhere they go. 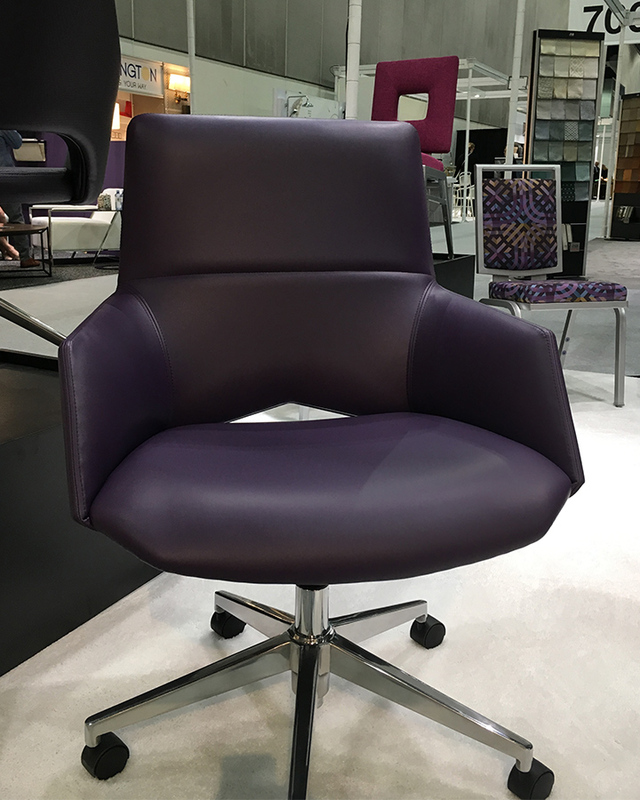 It’s no surprise then that highly visual and photo-worthy design is trending in hospitality. 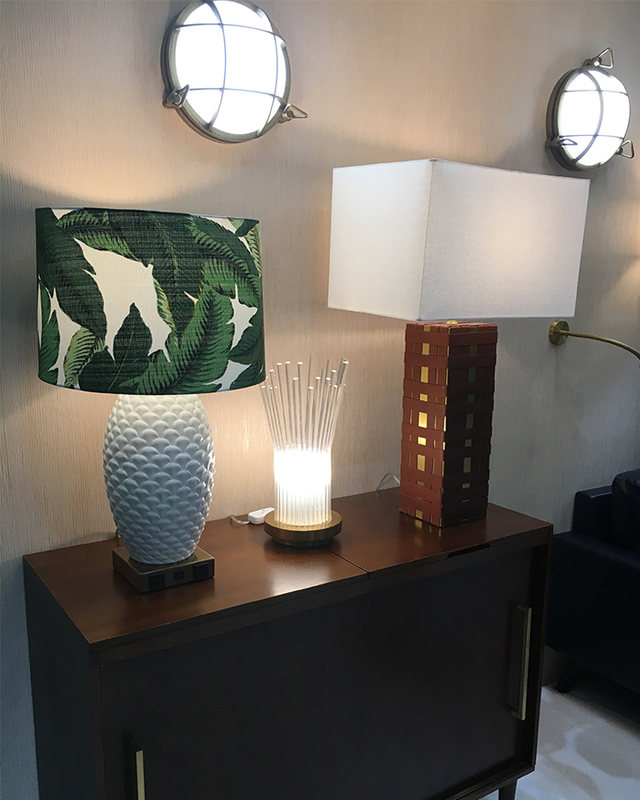 For for hotel and restaurant guests this design trend means a memorable and experiential visit. 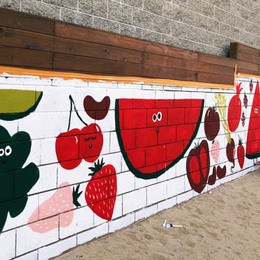 For hospitality marketers, this trend means being able to easily empower a guerrilla marketing team of sorts and free publicity. Colorful walls, neon signs, and patterned floors all entice visitors to share their experience with their followers. Hospitality design has evolved to consider people’s desire to share their lives in the digital space. 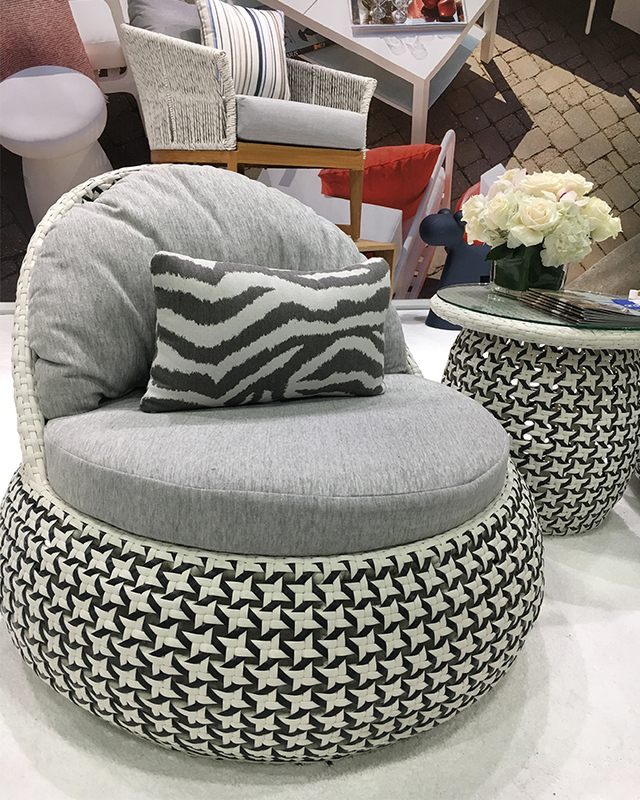 This lounge area, below, by Marriott Global Design Americas — and featured its own photo booth — is a good example of an Instagramable space. 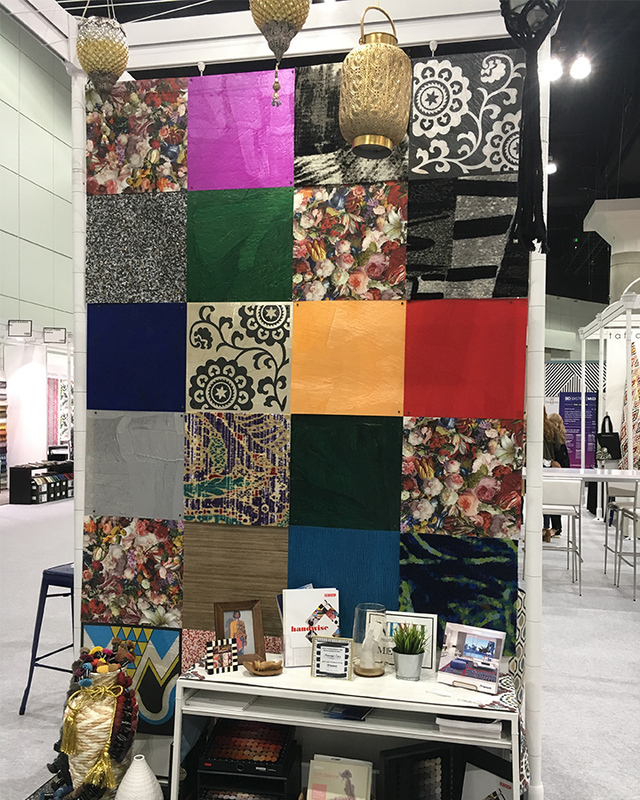 Designers and brands are playing with different textures and patterns to create aid in this visual stimulation, often mixing and matching patterns or creating asymmetrical designs. 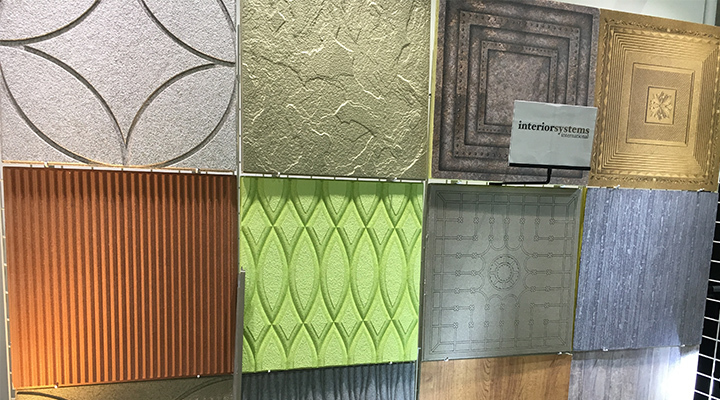 The desire to add depth and interest to each space can, for example, be seen here with these acoustical ceiling tiles ,show here from Interior Systems,which encourage hospitality guests to look up for a fully dimensional design experience.